The term, “Multi-Purpose Vehicle” or MPV is used to describe any vehicle that puts flexibility above all else. Things like styling, performance, and comfort are typically left out, and if present, feel like mere afterthoughts. In the past few years though, things have changed. 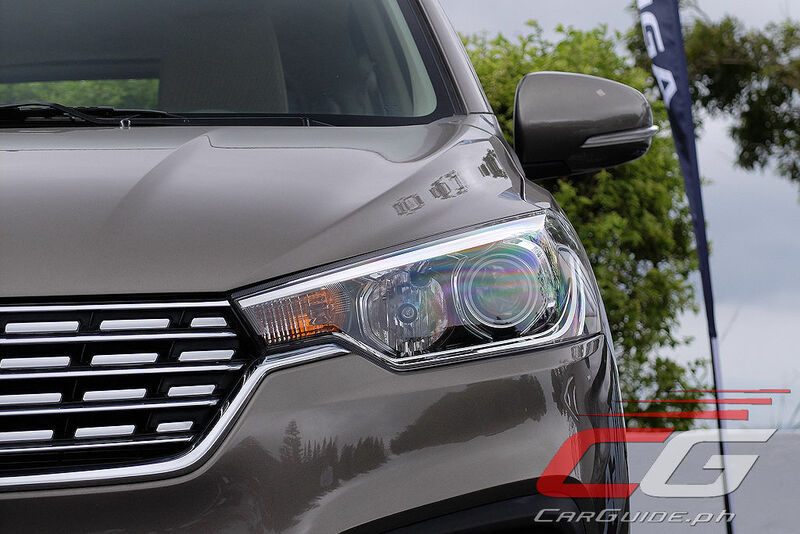 MPV buyers started demanding more than just flexibility; they started wanting everything a passenger car or even SUV could offer. 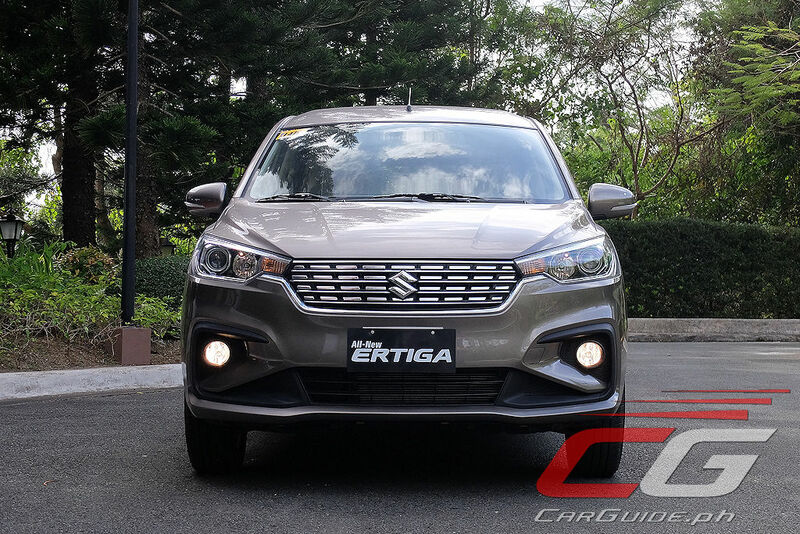 Enter the 2019 Suzuki Ertiga, a car that heeds the call of the modern family man. 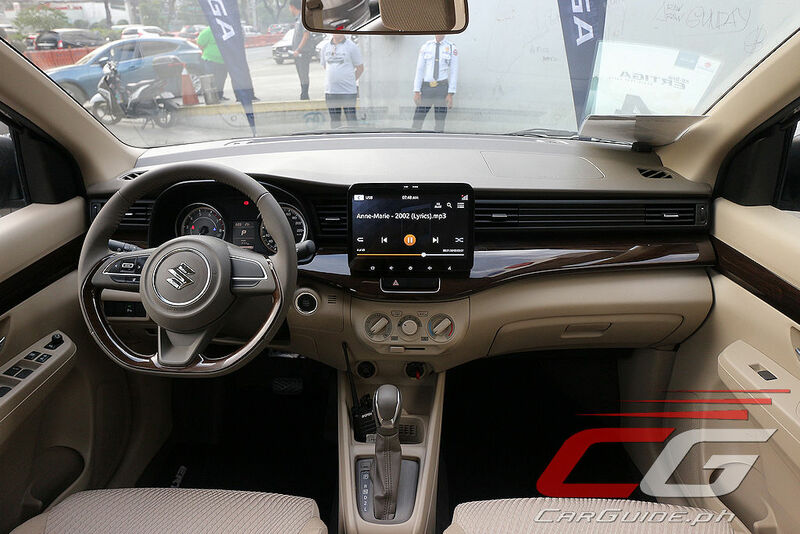 The Suzuki Ertiga’s transformation starts with its design. Whereas generation one looked like a stretched Swift, this one has a stronger, more unique visual identity to it. Honestly, the front is where all the magic happens. The higher hood, flatter nose, and stretched grille all make it look wider than it really is. It creates a stronger presence which the previous model lacked. However, moving on from the front, save for the Volvo-esque taillights, the rest of the styling is clean, if a bit analgesic. 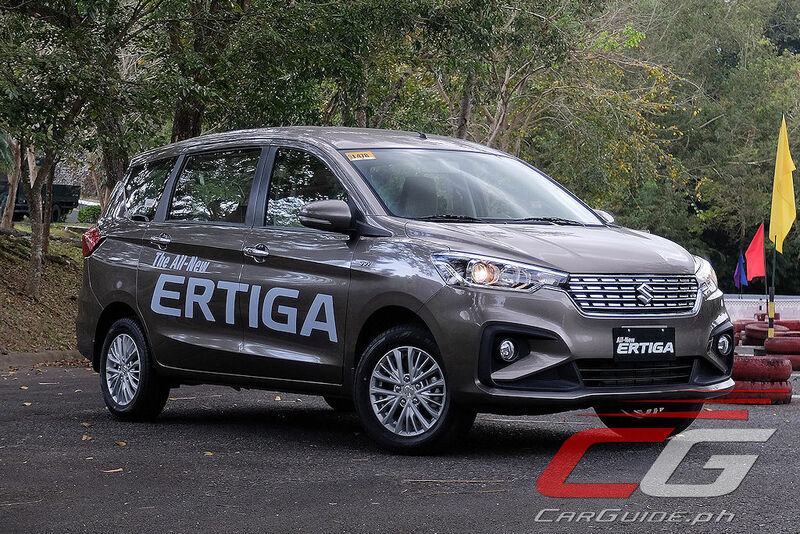 Viewed in profile, it’s clear that Suzuki’s done a lot of work to free up more room in the 2019 Ertiga. The rear doors are clearly longer than the front ones and the roofline’s more squared-off too. There’s also a larger glass area which benefits not just visibility, but comfort, especially for those in the second and third rows. 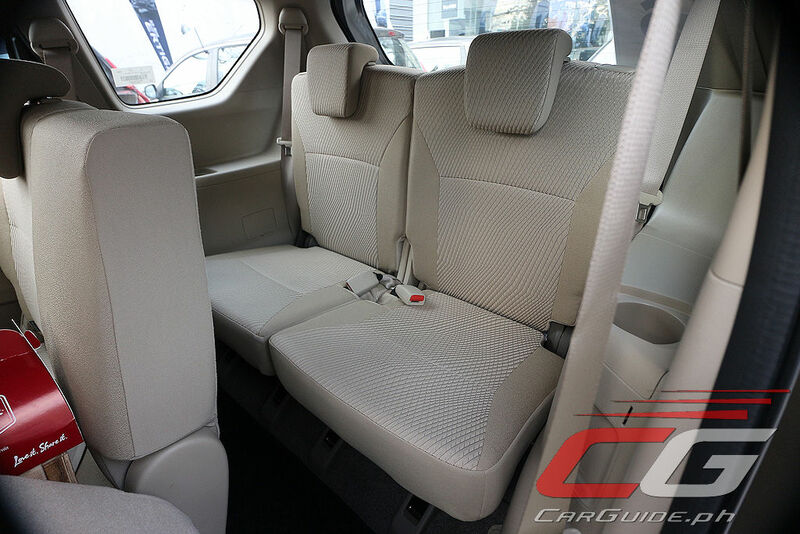 True to form, open the doors and the Ertiga does feel very welcoming, airy, and homey. 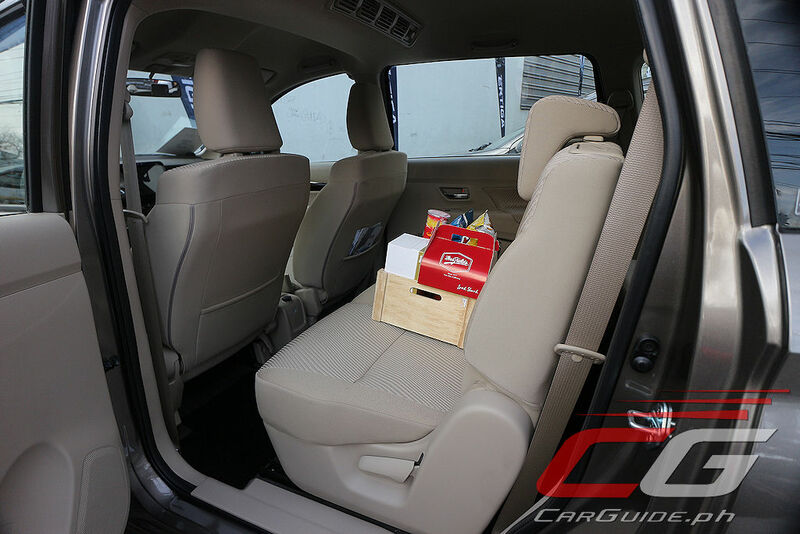 The seats are mounted high, almost like an SUV, without any detriment to the headroom. Then there’s the color scheme too: a gray and beige number that provides a warmer atmosphere. 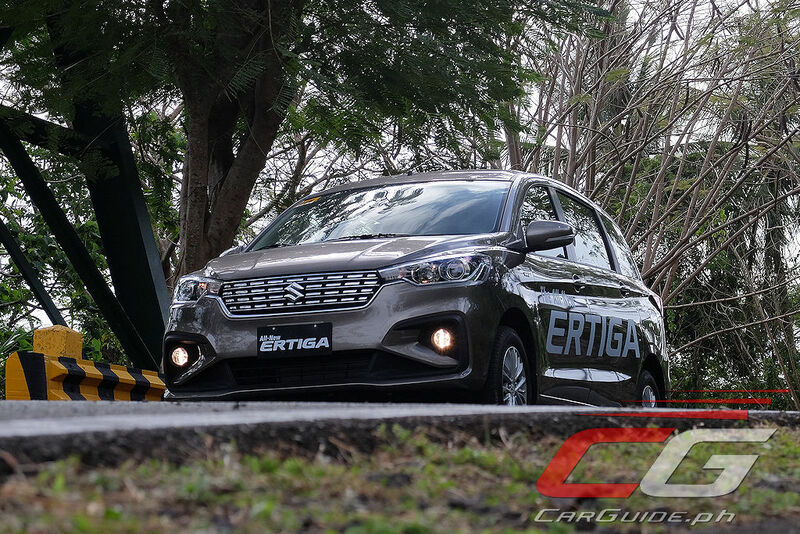 Settling in, it’s apparent that lots of work has been done to give the Ertiga a slicker cabin. 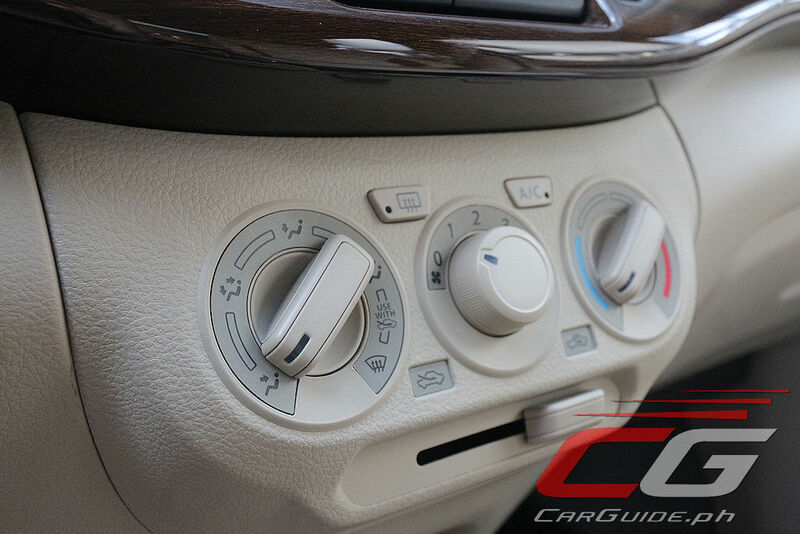 The sweeping wood trim, vertically-resting dials, and elongated AC vents on the passenger side may give an impression that it’s zany and over-styled, but it works. 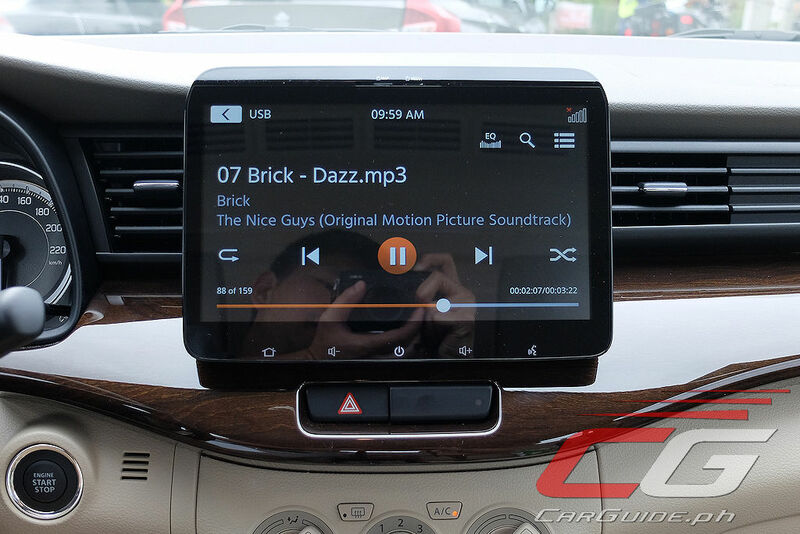 Ergonomically, it’s straightforward and easy to understand, but the 10-inch infotainment system is a bit gimmicky. The larger screen makes for bigger on-screen controls, but it still can’t replace the tactile feel of real physical knobs and buttons. The materials are still hard to the touch, but quality is definitely a notch above the previous generation. 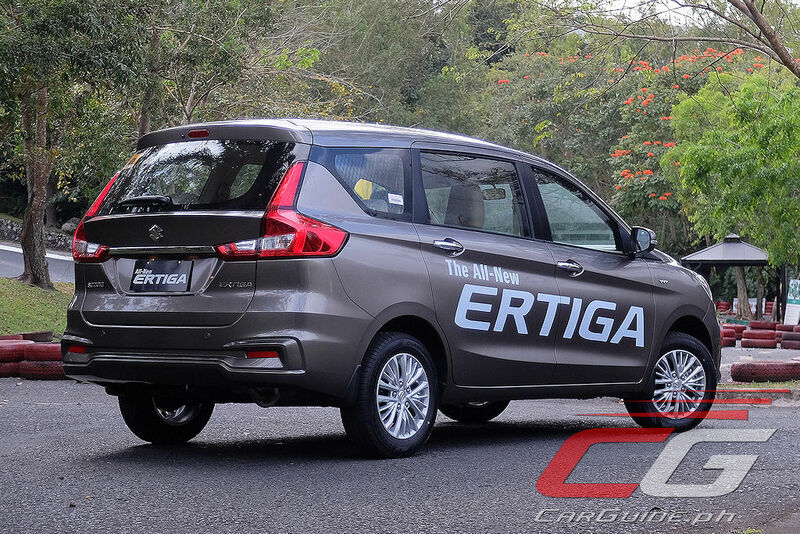 As a compact MPV, the Ertiga certainly delivers way above expectations. Its move to the HEARTECT platform frees up additional interior space and this can be felt across all three rows. This is especially true in the rearmost where it’s actually become habitable even for long, out-of-town trips. Moreover, this new platform has managed to free up luggage space too. 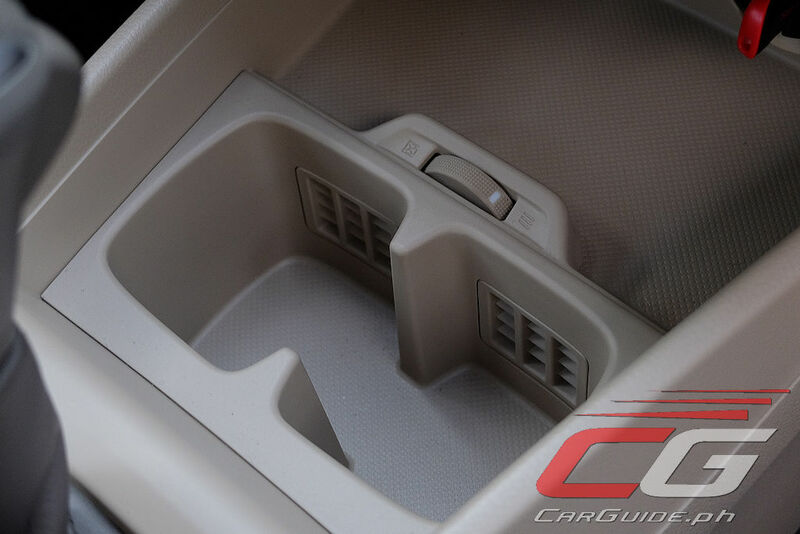 The 2019 model now has a two-tier cargo floor that frees up to 199 liters of room with the third row up, enough to fit a typical luggage vertically. 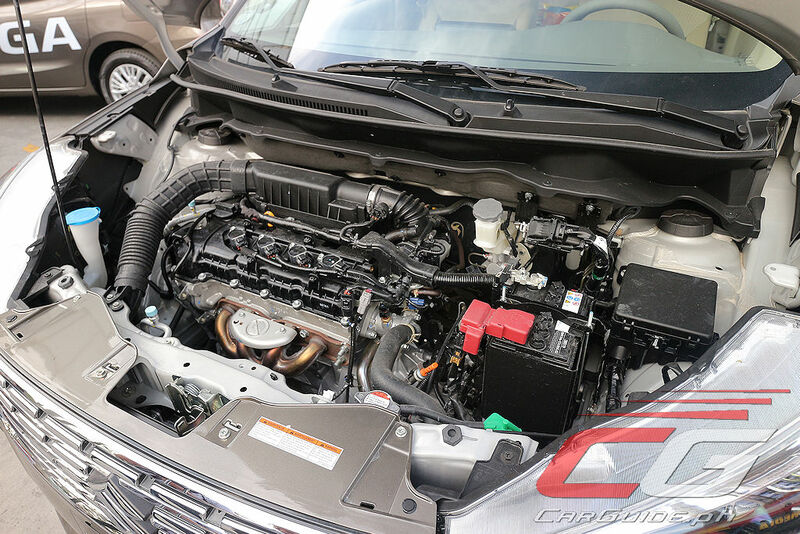 Fold the third row down and it’s up to 550 liters; fold the second and third rows, and it tops out at 803 liters—bigger than the BR-V and Rush. 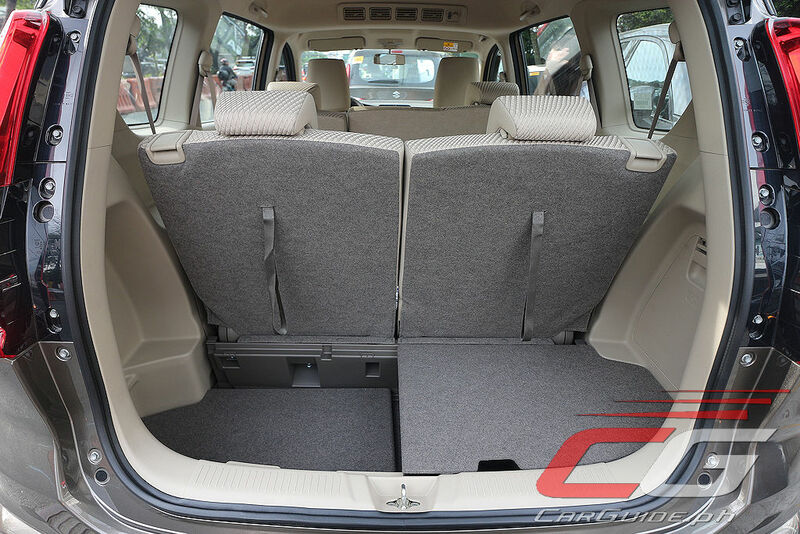 Sheer space aside, the Ertiga’s flexibility has been enhanced with rear doors that open wider, second row seats with a single-action lever that slides and moves the seats by 240 millimeters to aid access to the third row (140 millimeters with the seatbacks up for more knee room), a third row that reclines up to 16 degrees, and steel panels integrated into the second- and third-row seatbacks to keep bulky items stable when loaded. 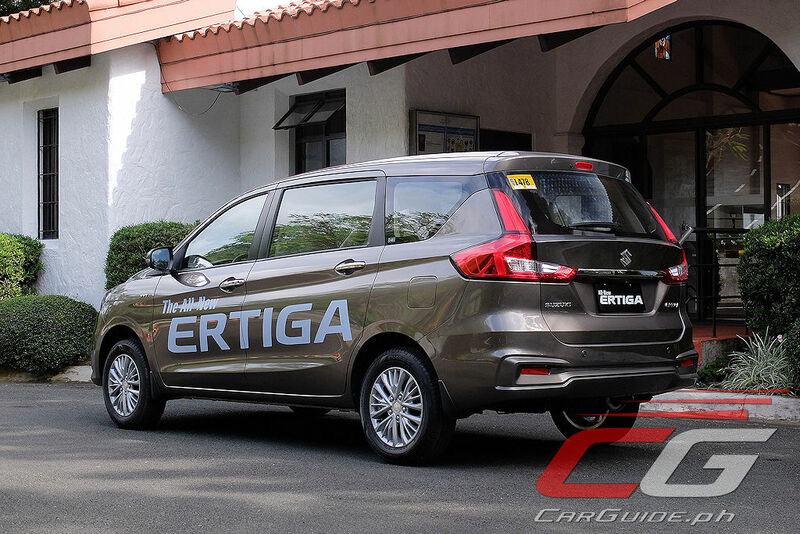 Feature-wise, it’s hard to criticize what Suzuki’s done with the all-new Ertiga. 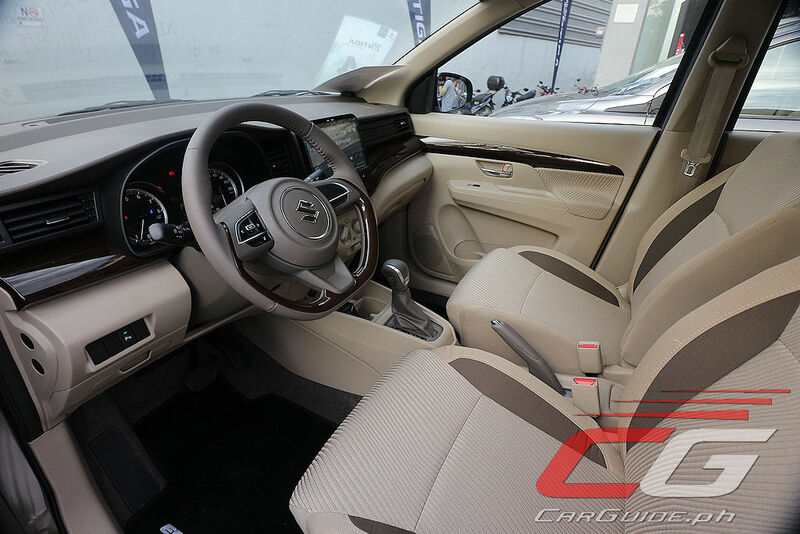 Priced at P 978,000, this GLX A/T variant has the sort of convenience and luxury features sought after by any modern family: push-button start/stop, an infotainment system that can play both music and video, dual air conditioning, dual SRS airbags, ABS with EBD, and even rear parking sensors with a back-up camera. What’s funny though is the decision to delete the rearview mirror’s anti-dazzle function—a feature that’s pretty much standard on any modern automobile. 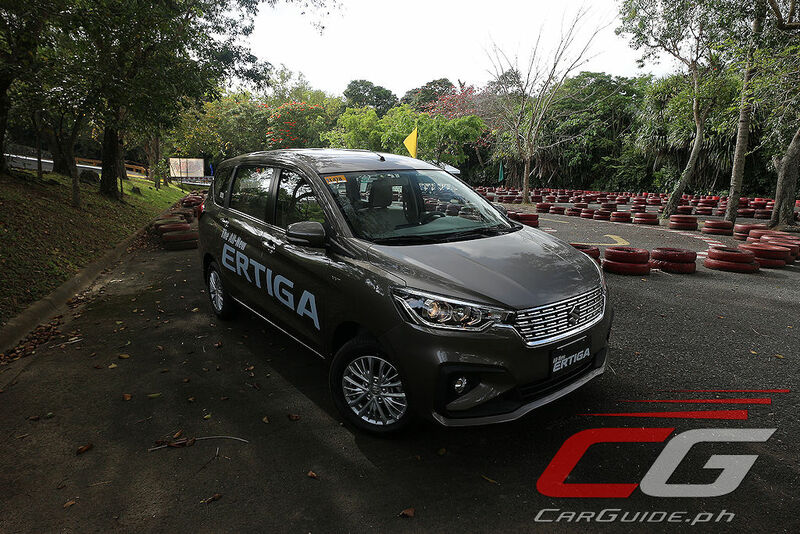 For this drive program, the route is fairly short: a drive from Pasig to Tagaytay. 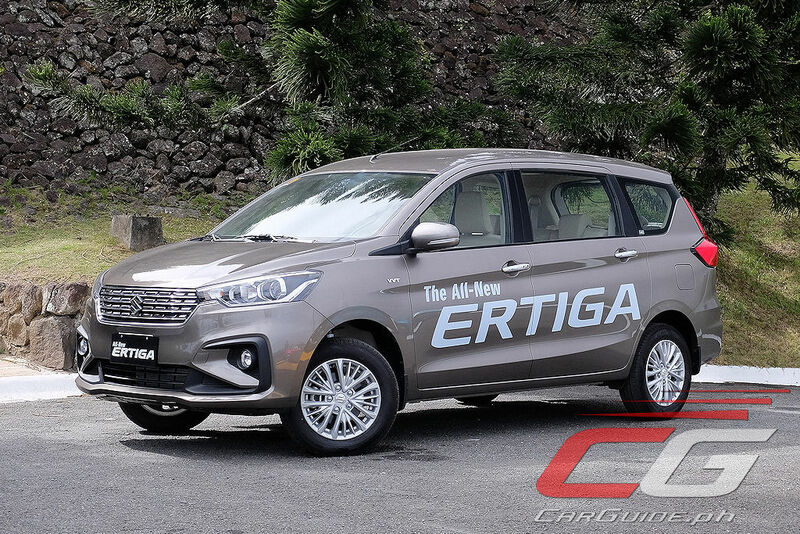 However, it’s enough to gain a positive impression of the Ertiga’s abilities. Having played passenger first, it’s clear that the suspension is softly sprung and tuned for comfort. It’s pliant and composed even when going through patches of rough roads. It’s also remarkably hushed; quieter not only compared to its predecessor, but even to its rivals as well. 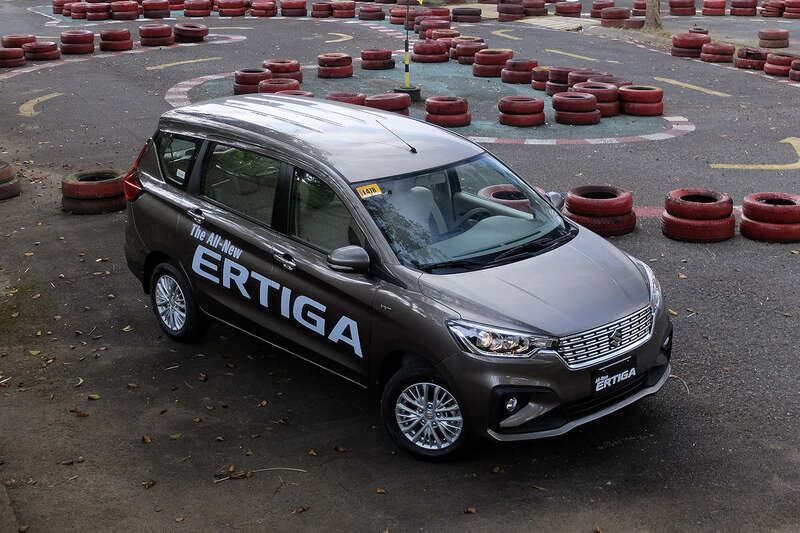 Moving on to driving duties, the Ertiga’s HEARTECT base pays dividends in that it feels secure and well-balanced. It doesn’t offer the same immediacy as the Swift, but at times, it can feel pretty close. It’s much more at home in the city, but can still tackle highway stints with equal pose. The steering is precise, though a bit too light at low speeds. It does weigh up beautifully at speed. 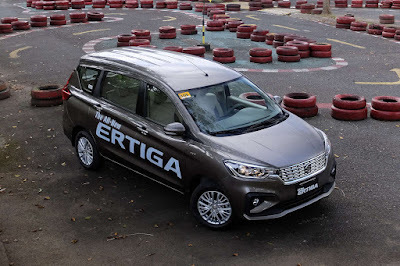 With a lower curb weight (1,135 kilograms versus 1,190 kilograms before) and a bigger engine (a 1.5-liter from a 1.4-liter), the Ertiga is quicker on its feet. The initial pull is strong, but the bulk of the shove still comes in at above 3,500 rpm. It feels more tightly-wound than before, but that’s probably because the unit had less than 20 kilometers on the clock during this drive. With an average speed of 40 km/h, it does 17.5 km/L, so putting in a double-digit fuel economy figure in the city is possible. 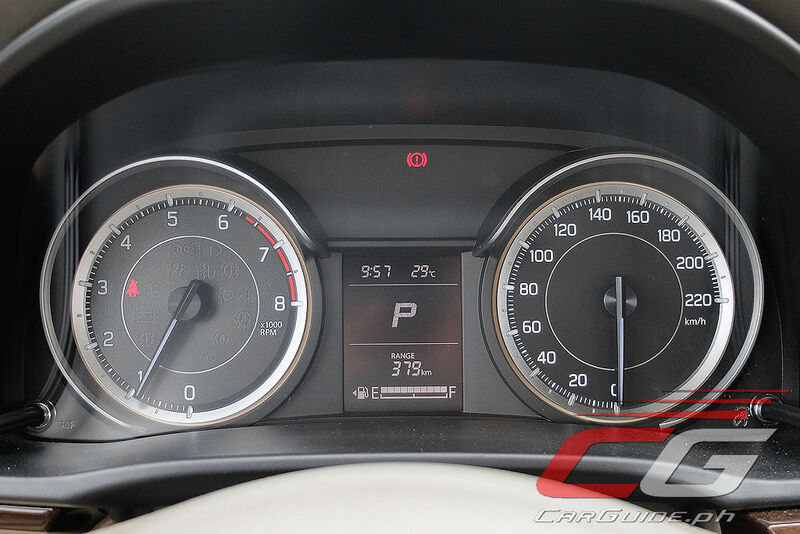 The accompanying 4-speed automatic is responsive and keeps the engine singing at the right note all the time, too. 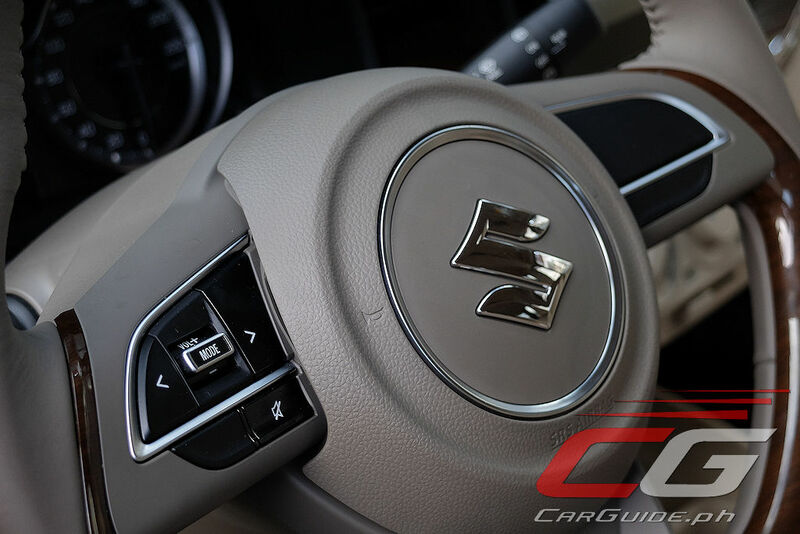 However, Suzuki missed the opportunity to install a manual shift override here. 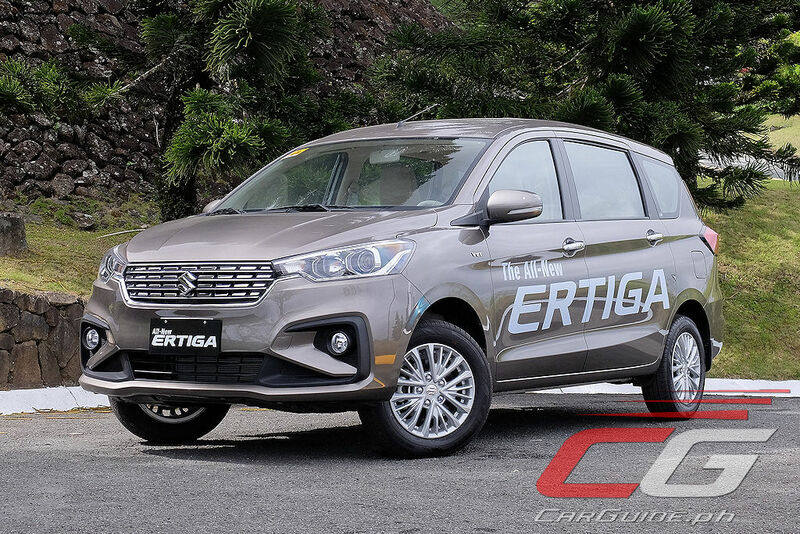 The first-generation Ertiga established Suzuki as more than just a maker of good small cars. 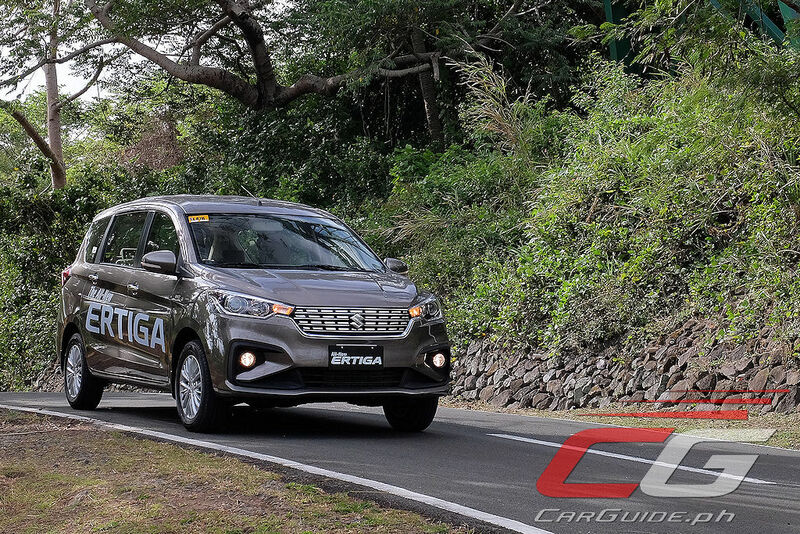 By employing techniques they’ve learned making sub-compact sedans and hatchbacks to larger offerings, they’ve successfully carved in-roads in the 7-seater compact MPV market. 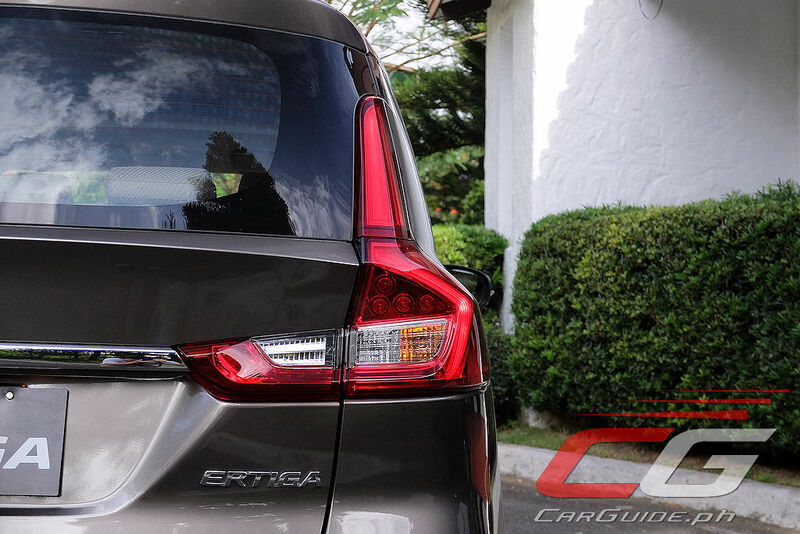 The arrival of the second-generation Ertiga proves that lighting can strike twice. 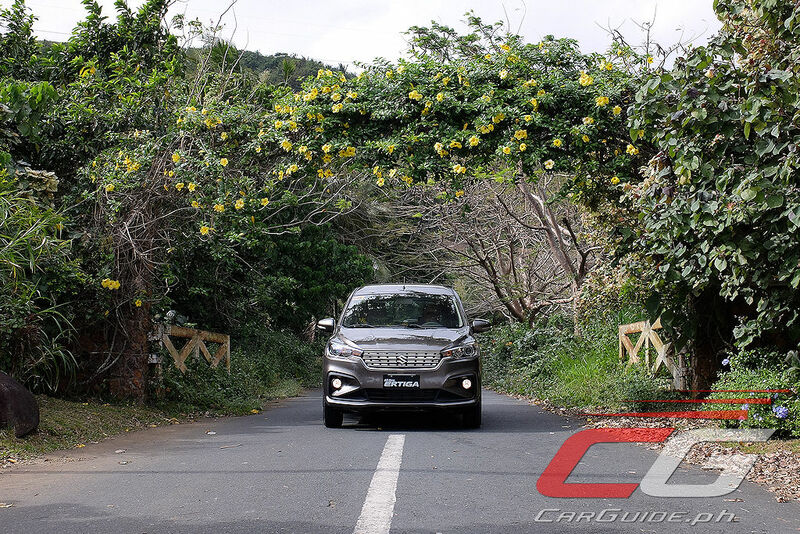 It betters its predecessor in more ways than one and continues to provide the sort of excellent value proposition that only Suzuki could offer. "However, Suzuki missed the opportunity to install a manual shift override here." L: cpu is limited to 1st. 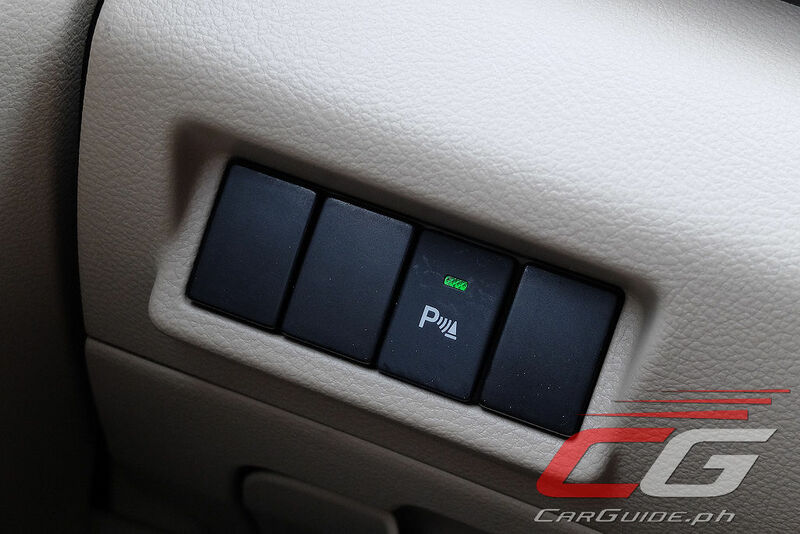 [D] [OD](off)  [L] serves the same purpose as paddle shifters or +/- switches. Yes, you can definitely do it that way, but having a +/- is way more intuitive. 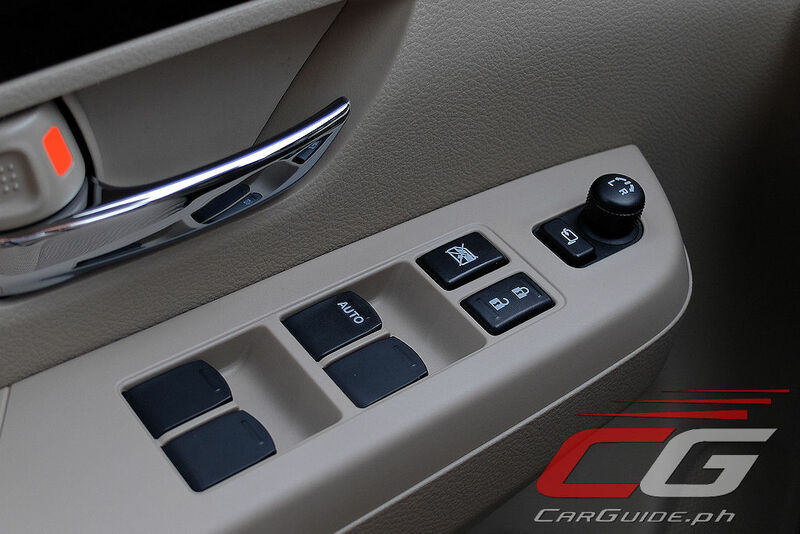 Plus, having too much notches in the shifter makes it more prone to engaging the wrong gear. 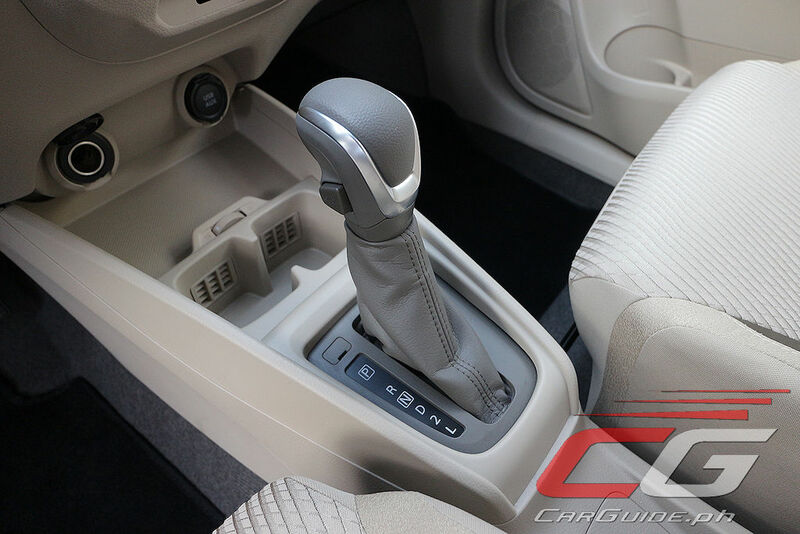 Avanza/Rush's [D]   [L] gate shifter pattern is more intuitive.